is a wholesome Perth poet who is best known for his casual conversational style of slam. In 2017, he appeared on national platforms including the National Young Writers Festival, Emerging Writers Festival, Digital Writers Festival and the Australian Poetry Slam National Final. In 2018, Jesse launched Rap/Poetry show Star-Crossed Poetry at Perth Fringe World and joined the Spoken Word Perth team. He will also be jumping on an international tour and returning to the National Young Writers Festival as Co-Director. For Jesse, writing and performing poetry has always played a significant role in supporting him through difficult times. But now, he wants to use his words to open a discussion about his lived experiences of homelessness, gender transition and mental illness. He does this through a range of his favourite topics including dreams, aliens, and selfless love. Jesse is the current reigning 2017 Australian Poetry Slam Adult Champion. 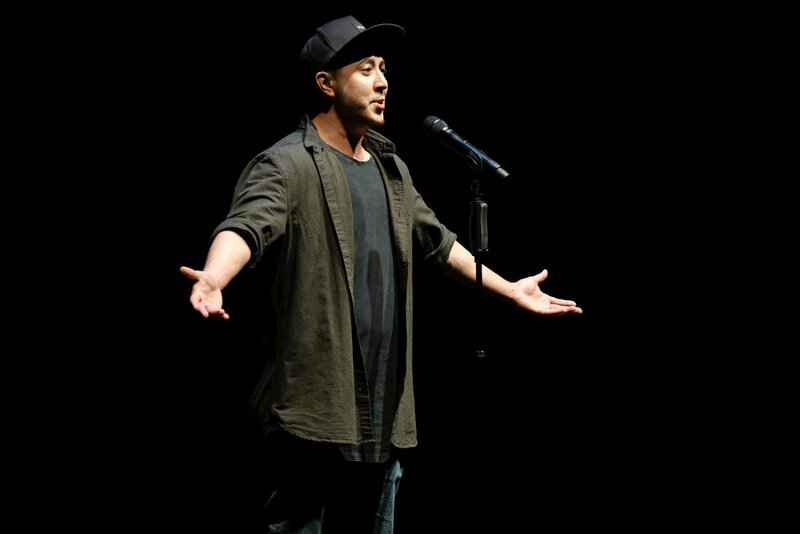 See Jesse co-host at the APS NSW Final and his encore performance at this years’ Australian Poetry Slam National Final event.